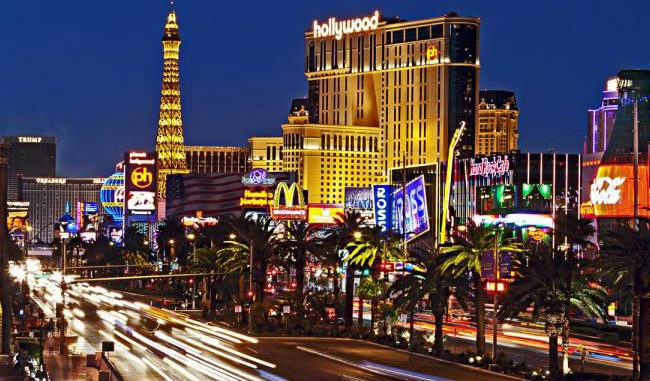 Caesars Entertainment Corporation is on its way to become a casino operator that will also offer sports betting services to the residents of the United States. They have recently made an announcement that they plan to launch sports betting services in New Jersey and Mississippi – the two states where they have active casinos with many visitors. When it comes to New Jersey, Caesars Entertainment Corporation issued an official press release on Monday where they state a thorough plan of bringing the sportsbetting service to Bally’s Atlantic City Hotel and Casino and Harrah’s Resort Atlantic City Hotel and Casino. The services started on Tuesday in these venues and are now fully operating. The similar service will also be introduced to Horseshoe Tunica Hotel and Casino as well as to Harrah’s Gulf Coast Biloxi Casino Hotel. These are the two venues in Mississippi which are also owned by Caesars and which will expand their scope of activities with sports betting. The new sportsbook will be also a full part of the Total Rewards program that exists for the loyal customers and it will be based on the OpenBet platform. OpenBet is actually offered by SG Digital which is a subsidiary of Scientific Games Corporation – an iGaming innovator from the US. The Scientific Games Corporation provides the “intuitive and sleek solutions” which will make the sports betting experience much better for everyone. Some of the other announcements made by Caesars is that they plan to build out new sportsbooks just like the ones that currently exist and operate only in the state of Nevada. It will be a land-based service and will mirror the Nevada venues. Furthermore, they added in their announcement that they will spend the next 9 months building a sports betting app for mobile users in the state of New Jersey. Furthermore, they will expand their offerings when it comes to the casino and poker as well as add these to the Mississippi website. They stated that they would closely monitor the sports betting activities and wait for the opportunity to open up the other states. As soon as it becomes economically attractive and legal, Caesars will seek opportunities in other states as well. Mark Frissora, the President & CEO of Caesars Entertainment Corporations, stated in a press release on July 30 that the introduction of sports betting to his firm is followed by the ruling out of sports betting that happened in May this year when the United States Supreme Court decided to give thumbs up to such activities. Barry Cottle, who is the President & CEO of Scientific Games Corporation also stated that he was thrilled about partnering up with such a great company that is Caesars Entertainment Corporations. He promised that his company would offer the best experience when it comes to sports wagering to the customers of the Caesars casinos. This opens up a new era in the US and there will certainly be something for every sports lover in this country.